For a huge range of wholesale toiletries from leading manufacturers look no further than Harrisons Direct. We supply hundreds of wholesale toiletries to retailers and businesses nationwide! 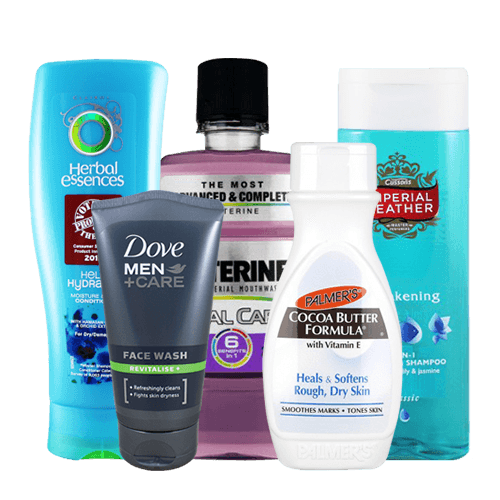 From cotton wool to deodorant and hair care, we've got a great range of wholesale toiletries to cater for your customers every need. As the one-stop shop for wholesale toiletries Harrisons Direct has a wide range of items to meet all your requirements! We have hundreds of products available for next working day delivery, and with our enormous product range you can use one supplier for all your wholesale toiletry requirements. Here at Harrisons Direct we’ve been providing wholesale toiletries to customers throughout the UK for over 90 years so we know a thing or two about what toiletries sell well and help keep your business moving. Each one of our customers is important to us so whether you require wholesale dental supplies, wholesale hair care, or simply some wholesale hand and nail care products we always aim to surpass your expectations. For wholesale toiletries you can’t get better than Harrisons Direct! We are committed to ensuring our customers get the highest quality products at the best prices, because of this commitment we constantly review our competitors prices to ensure we remain competitive across all our products. Can't find the wholesale toiletries you're looking for on our website? Give us a call on 01254 306840 and we'll be happy to help!